Can a baby have Zantac? What is the right age to give Zantac? What is Zantac used for in babies? 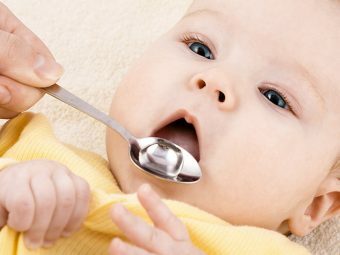 What is the dosage of Zantac for babies? How long does it take for Zantac to work in babies? 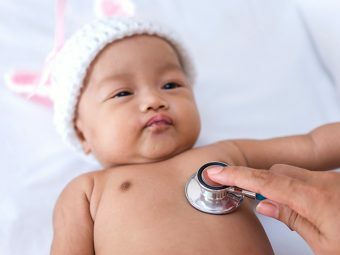 Are there side effects of Zantac on babies? What if my baby on Zantac still spits up? Excess production of acid in the stomach and heartburn is a universal problem. It does not spare even infants. There are several medicines to address this problem, and ranitidine, sold under the brand name Zantac, is one of them. But can babies have Zantac? Is it safe to give an infant this medicine to treat heartburn? In this article, MomJunction addresses these questions and more about using Zantac for infants. Zantac is the brand name for the generic antacid compound called ranitidine (1). Ranitidine is a type of histamine-2 (H2) blocker and is particularly used to suppress the stomach cells from producing excess acids and thus prevent heartburn. Yes, babies can have ranitidine (Zantac), but only on a doctor’s prescription (2). Never give Zantac to babies and toddlers unless advised by a pediatrician. When administered in the right dosages, Zantac can be effective and not have any side-effects. Zantac is usually prescribed to babies of at least a month old (3). A pediatrician will explore non-pharmacological treatment, change in maternal diet, and other safer medical alternatives when the baby is less than a month old. Acid reflux or gastroesophageal reflux. In this condition, the lower esophageal sphincter present at the junction of esophagus and stomach does not shut completely and allows some stomach acid to flow upwards towards the mouth. Ranitidine subdues the secretion of stomach acid, thus providing relief from acid reflux. Gastroesophageal reflux disease (GERD). When acid reflux becomes chronic, it is called GERD. Zantac provides relief from GERD by preventing excess acid accumulation in the stomach. Esophagitis. It is the inflammation of the inner lining of the esophagus caused due to several reasons including GERD. Ranitidine is found to be effective in the treatment of this condition as well. Usually, about 1-2mg of Zantac per kg of the baby’s weight is the prescribed single dosage. No more than two to three such doses are to be given in a day (6). For example, if the baby weighs about 10kg, he will get about 20mg (2mg x 10kg) of Zantac per dose, which amounts to about 60mg of Zantac in a day, in three doses. The maximum dosage of Zantac for infants is at about 100mg per day, or as prescribed by the doctor (7). Zantac is often prescribed for two weeks (8). Note that the dosage and duration can vary due to several factors such as the age of the baby, and the severity of the condition. The doctor will also let you know the best time to give the medicine (full stomach or empty stomach) and if the medicine can be combined with other medication (like gas drops or antacid). Zantac is available in the form of syrup or effervescence tablet for babies. Syrups are easy to administer to older infants who may like the slightly sweet taste. Younger infants could be given effervescent tablets that dissolve in water. The water can be administered to the baby through a dropper syringe. The time taken for the medicine to work depends on the severity of baby’s reflux. Ideally, a baby should get relief from reflux and GERD within two weeks from the day Zantac was first administered. Are There Side-Effects Of Zantac On Babies? The side-effects are not many and usually disappear once the medicine has been discontinued. The negative effects are significant among less than 2% of patients who take the medication (10). However, some may experience a few long-term side-effects of using the medicine. Repeated stomach infections: Ranitidine suppresses the stomach acid that plays a vital role in destroying pathogens. Extended consumption of Zantac can increase the risk of infection due to lower acid production (11). Necrotizing enterocolitis: It is a condition where bacteria destroy the walls of intestines, leaving perforations/holes in the intestinal walls. Stool and semi-digested food spill out from such holes into the abdominal cavity causing severe infection (12). 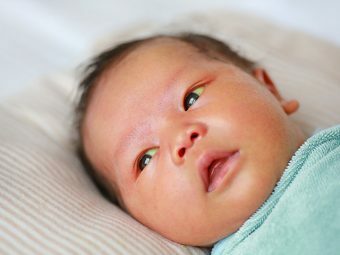 While the exact reason for this condition is not known, some studies have shown that increased use of H-2 blockers, such as ranitidine (Zantac), in babies can put them at risk of necrotizing enterocolitis (13). Liver function problems: Excessive use of the drug may decrease liver capabilities, leading to complications and susceptibility of the liver to diseases like hepatitis. Liver problems due to ranitidine occur in one among 1,000 patients (10). Neuropsychological problems: Complications include chronic disorientation, confusion, delirium, and hallucinations. However, these side effects happen in less than 1% of ranitidine users and usually only among those infants who are critically ill and on multiple medications. Cardiovascular problems: This is an extremely rare side-effect of ranitidine, which affects one in a million patients and only due to rapid dosage or overdose of ranitidine. Problems of the heart include abnormal heart rate, either too many or too few heartbeats than the average. What If The Baby Is On Zantac But Still Spits Up? If your baby continues to spit up despite using Zantac, then take him to the doctor immediately. This could indicate some other underlying condition or infantile diseases such as pyloric stenosis that causes the baby to spit up (14). Get your baby checked by a pediatrician in case of chronic spit ups that do not stop even with ranitidine. 1. 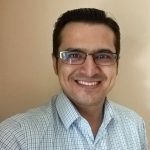 Is Zantac Same As Prilosec And Prevacid? Zantac is different from Prilosec and Prevacid. Prilosec is the brand name for the generic compound called omeprazole and Prevacid is the brand name for lansoprazole. Both omeprazole and lansoprazole belong to the compound group called proton-pump inhibitors, also used for treating acid reflux (9), while ranitidine (Zantac) is an H2 blocker. They act differently. 2. Does Zantac Help With Gas In Babies? There is no evidence that Zantac can provide babies relief from excessive gas. It may help ease the gas caused by acid reflux, but it does not treat gas directly. Ranitidine is primarily prescribed for GER and GERD. Ranitidine is less likely to cause serious side-effects that have a long-term effect on the baby. Despite that, a baby’s doctor will choose Zantac as a last resort – when nothing seems to ease a baby’s reflux. Experts state that Zantac is safer than alternative medicines, but more research is needed to learn its true effects. For the safety of your infant, use Zantac only as and when prescribed by the pediatrician. 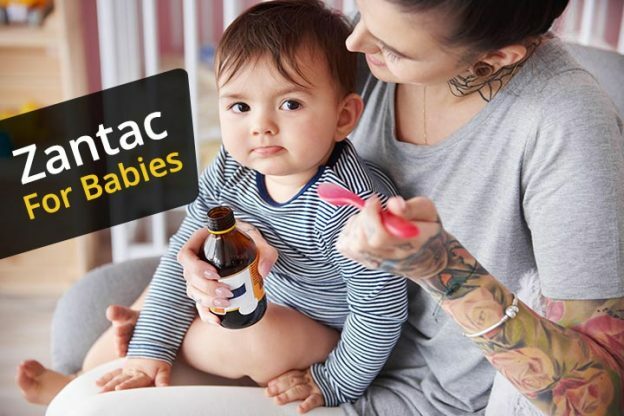 Have you used Zantac for your baby? Do let us know your experience in the comments section below. Use zantac only when your pediatrician has prescribed it. Self-medication is dangerous to life. This information is only for understanding purpose and should not be taken as a probable prescription. Please do not use this information for any purpose other than understanding the medicine.